When I went to Manila two years back, I never imagine myself riding a horse to the volcano. This time, I did not envision myself going to Cebu this year but Jia Ling, Jun Yuan, Oppa and I finally confirmed our trip in March. The purpose of the trip was to attend Shara’s wedding but since there are opportunities to swim with one of the biggest fish in the world, why not? As I was so busy prior to my Cebu trip since I was at Korea for a week before that, Jia Ling was such a sweetie to do all the research and hard work for the programs at Cebu. Thankfully, we had a day to spare and meet up along with both our partners four days before the trip to discuss on the itinerary. Although the plan was not finalized, at least we had a rough idea on what we will be doing on each day we are at Cebu. 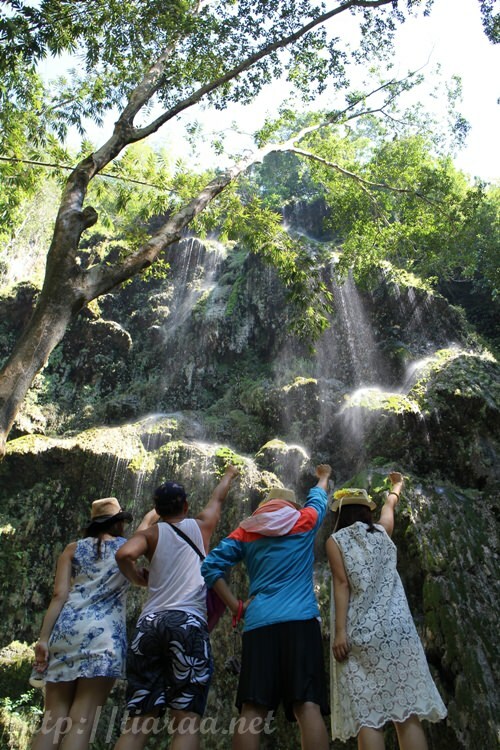 So on the first day of our trip, Jia Ling went to research and compared between Island Trek Tours and our hotel’s tour group called Cebu City Tours. 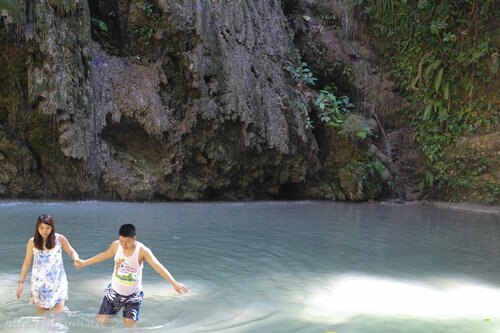 Since Island Trek Tours had a more detailed schedule of the program than Cebu City Tours, Jia Ling went ahead and booked the Island Trek Tours because advanced booking of 24 hours is required. We had to make a payment of 50% deposit via paypal for the tour prior to the pickup in order to receive our confirmation. So this means that for two pax exclusive of snorkeling gears and water camera, the cost for the entire day’s program is 7350 philippine pesos, which is equivalent to SGD$214.63. This means that the cost for one pax for the entire day’s program including breakfast, lunch and transportation is SGD$107.32. So when the day (exactly a month ago) finally came, the driver named Michael came to pick us up from our Waterfront Cebu City and Casino Hotel at 5am. The 3 hours drive from our hotel to Oslob was relatively smooth with little to no traffic and we managed to reach our destination in 3.5 hours. 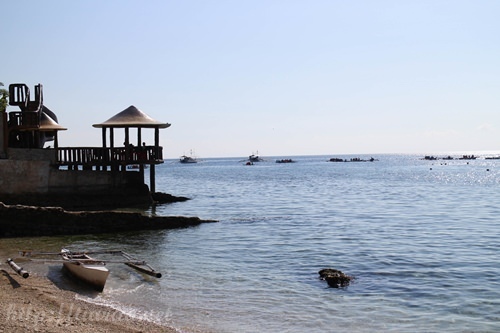 Once we have arrived at Oslob at 8:30am, a guide named Leslie greeted us and took us to P&J restaurant to have our light breakfast, which is included in the package. 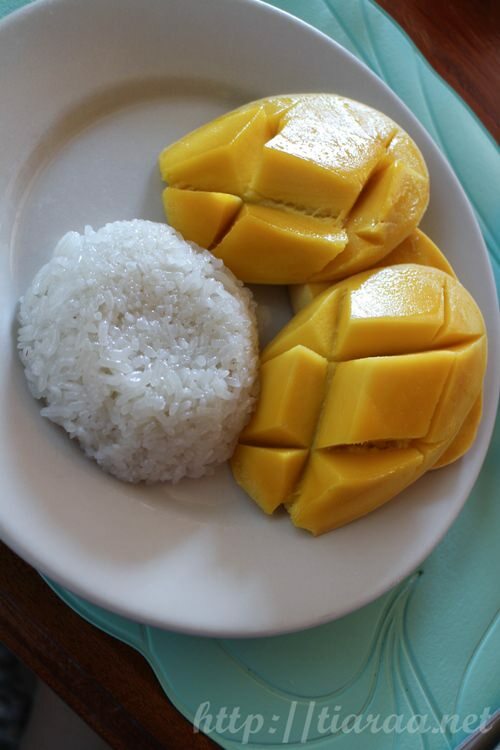 We could not believe that light breakfast served was none other than mango sticky rice!! The four plates of mango sticky rice were shrink-wrapped and placed on the table when we came to the restaurant. When we removed the shrink wrap from our individual plate of mango sticky rice, there were so many ants approaching the plate, our hands and our bags. Thus, we had to finish the meal quickly. Although the weather was hot, the restaurant is facing the sea, which is something we love. During breakfast, Leslie briefed us on our itinerary, as well as details of the whale shark watching program. 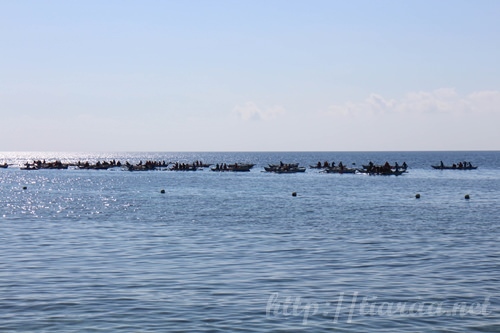 Since it is the long Labour Day weekend in the Philippines, there are tonnes of people swimming with the whale sharks. However, only a certain number of people can be at the whale shark point. Leslie informed us that the our queue number is 226 but the current groups at the whale shark point is only up to queue number 160. Thus, it will take 1-1.5 hours before it will be our turn so he suggested us to go to Tumalog Falls first before moving on to our whale shark program. 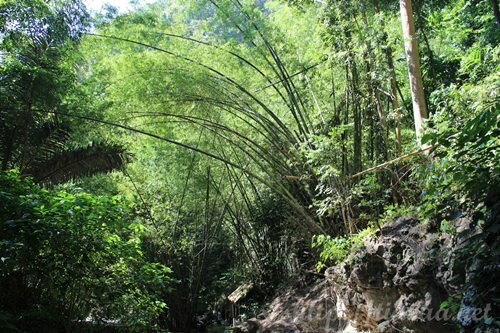 From P&J restaurant, we either had to take a 25 minutes walk to Tumalog Falls or go there in 5 minutes by motorcycle. Initially, my boyfriend decided on walking as he mentioned “Safety First!” but after considering the steep slopes we had to walk through under the hot sun, he told us to take the motorcycle instead. 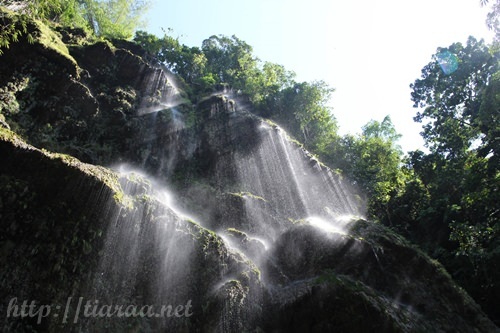 The price for taking a motorcycle to Tumalog Falls and back is 50 pesos, which is SGD$1.52. This is very worth it, especially if you do not want to get sunburnt. However, please note that the cost of the motorcycle ride is not included in the Island Trekker Tour. 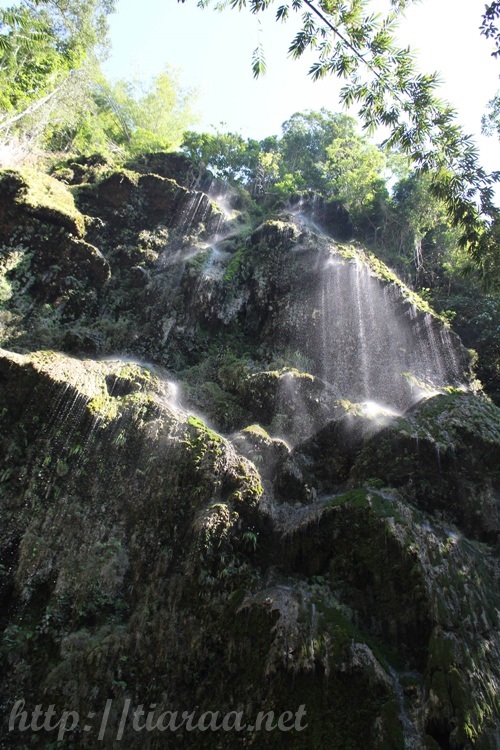 Look at the pictures above and you will see how stunning the waterfall looks! Anyone is able to get into the waters to snap a picture and such. The water was really cold so we had to take time to adjust to the temperature before walking further. 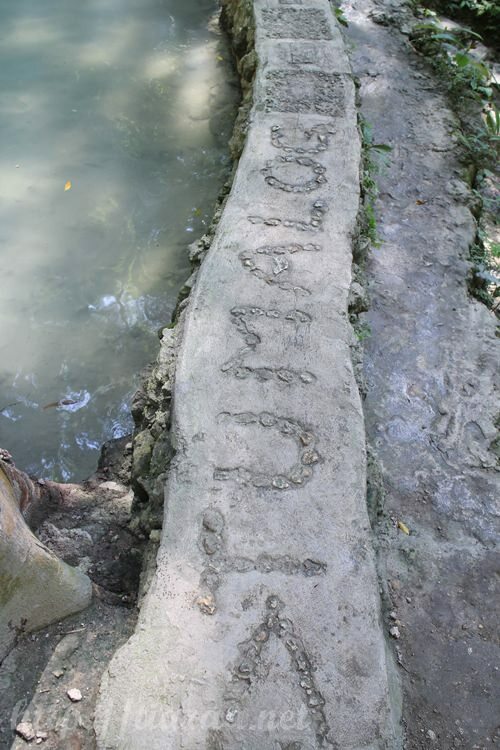 We spent about half an hour to 45 minutes being at Tumalog Falls before heading for the most exciting part of the program. Head over to part 2 of this program, which is of course the most exciting part of the trip!